Its been quite a while since I had the opportunity to step out of the house solely with the intention of going for something as quick as a pedicure or manicure. I have had to improvise on getting them done at home because somehow I never run out of things to do. Good thing and only consolation is the results are pretty much the same as I would get at the beauty parlour being the Queen of DIY that I am. However, last weekend I thought it would be nice to treat myself to a professional pedicure. More than anything else I felt my very tired feet could do with a bit of pampering and it was also an opportunity to try out new nail polish sent to me from CMYK non toxic nail polish . I had informed the lady at the beauty parlour not to apply Nail polish on my toe nails once the pedicure session was over as I was happy to do this when I got home since I had quite a bunch of nail polish samples from CMYK non toxic nail polish waiting for me at home. 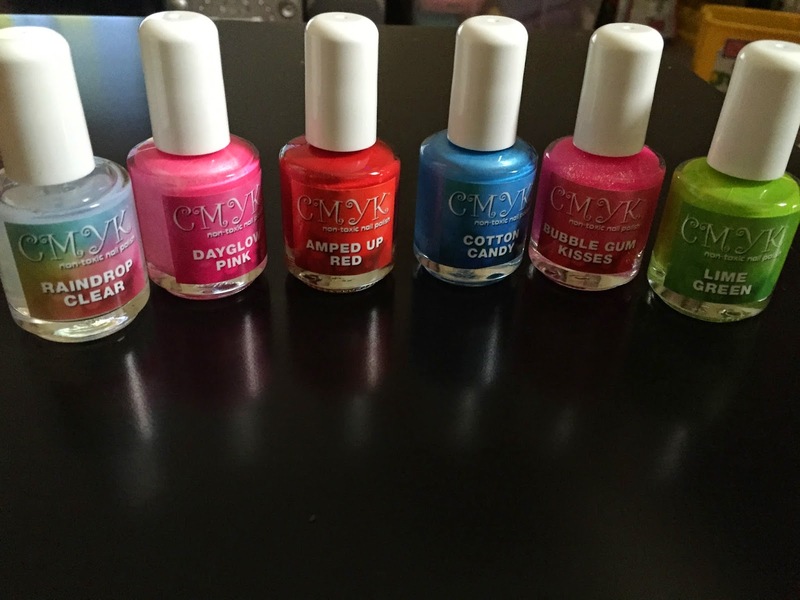 I had received a sample package containing an assortment of nail polish from the lovely team at CMYK non toxic Nail Polish . Colours included in my sample package included DayGlow Pink, Amped up Red,Lime Green,Bubble Gum Kisses,Raindrop Clear and Cotton candy which is my favorite because it reminds me of my favourite Bubble Gum Ice Cream . 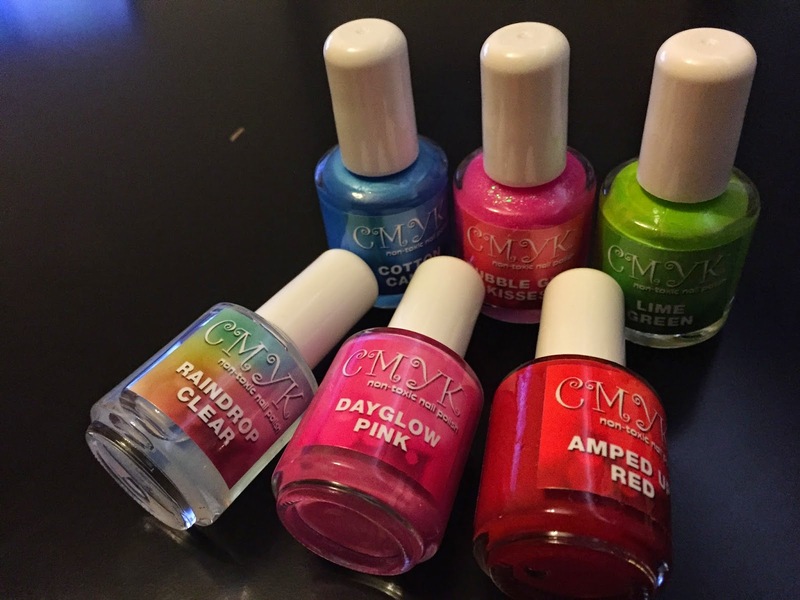 ''CMYK non toxic nail polish is ideal for anyone that cares for what they put on their body,especially great for children and pregnant women. It is free of harmful chemicals such as those known as the ''toxic trio'' and even free of chemicals hidden in polishes claiming to be ''5 free''. CMYK presently has amazing colours and is growing every day. Products include polishes with shimmer,Vibrant non shimmer tones, glitters,top and base coats, and mettalics. There is a range of colours for every age and even the more mature. 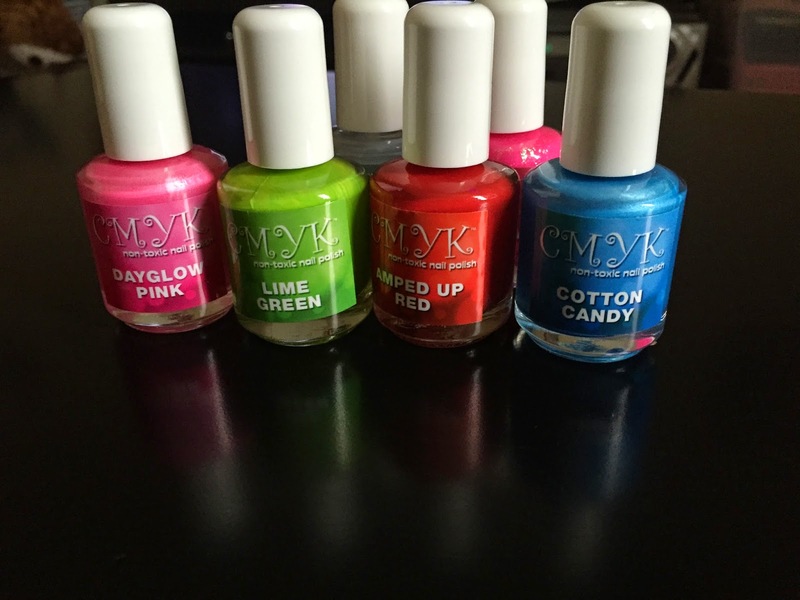 I absolutely love CMYK Cotton Candy! 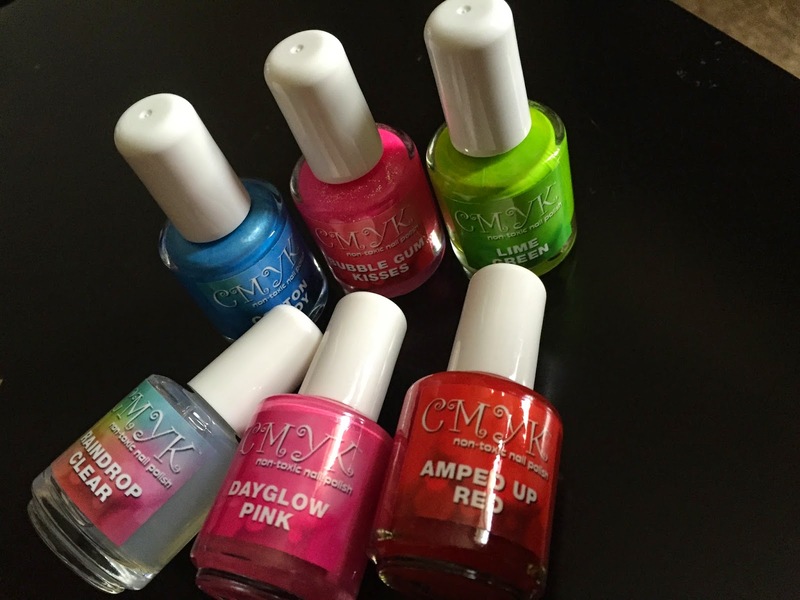 Read more about the CMYK non toxic line and of course how to purchase here. Unless otherwise stated,all views and opinions expressed are entirely mine. ohhh really lovely.. am sure i would love the bayglow pink..Good job Ma'am..